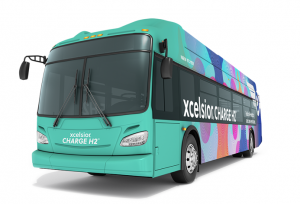 Home/News/Indian electric bus market, what’s going on? 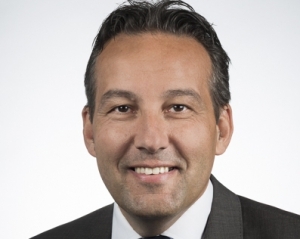 Below, a contribution from Interact Analysis, a market research firm focused on intelligent automation, with a specific department for truck, bus and off-highway electrification. providing in-depth analysis on the dominant market trends and outlooks. With over 70,000 buses above 6 tonne sold last year, the Indian bus market represents a significant portion of the 430,000 buses above 6 tonne sold globally. If only a small percentage of these were to be electric, it could easily become the second largest market behind China. 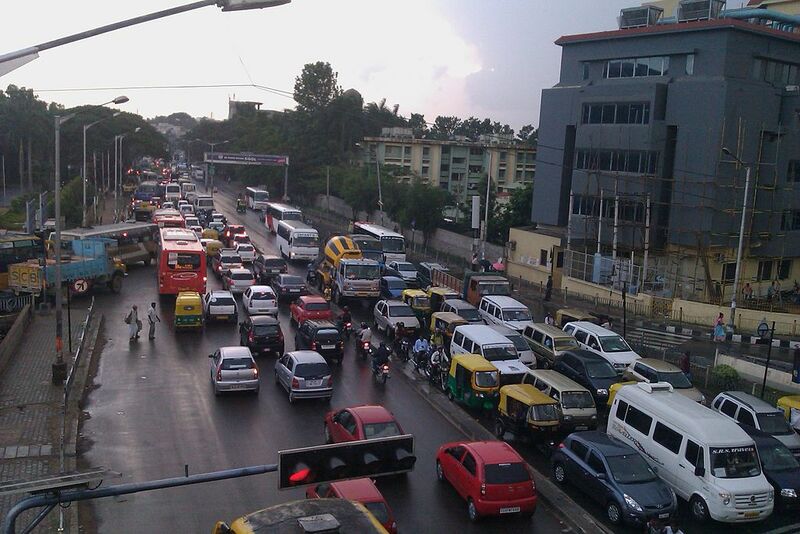 The Indian bus market can be segmented based on the duty cycle. The inter-city bus segment, which is less sensitive to cost and more concerned with the quality and comfort of the bus, tends to be for private transport operators while the city bus segment is highly sensitive to cost and tends to be for public transport operators governed by municipalities. 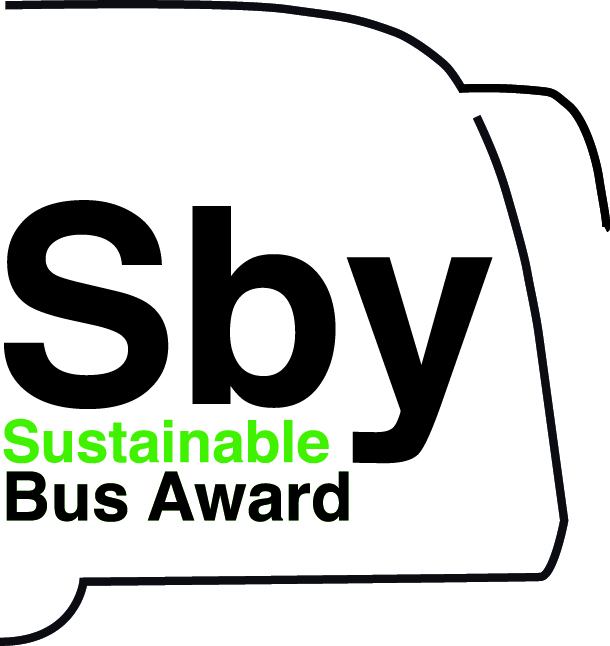 Inter-city and city buses have therefore become synonymous with premium and ‘good enough’ buses, respectively. Since they won their first tender in 2001, Volvo buses have carved out the premium inter-city bus segment from scratch. 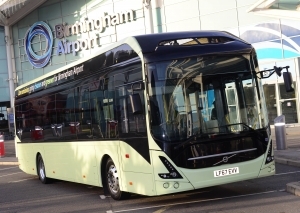 Volvo Buses now own the largest premium market share. The ‘good enough’ city bus segment, on the other hand, caters for shorter routes and is dominated by local manufacturers such as Tata Motors and Ashok Leyland. 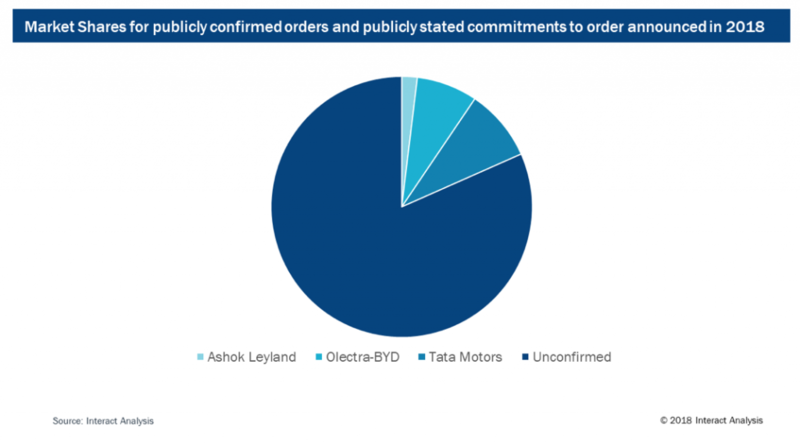 Interact Analysis have been tracking publicly confirmed orders for city electric buses totalling 932 units as well as publicly stated intentions to order a total of 1243 units since the start of 2018. Excluding China, this accounts for more than 24.9% of the global orders we’re tracking. 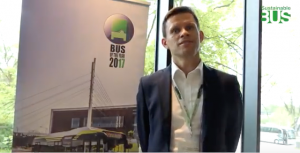 Underlying the growth of electric bus adoption are several favourable social and economic drivers. Firstly, because of the growing middle class and an increased awareness of the negative health effects of pollution, many Indian cities have made commitments to reduce vehicle emissions. The government is actively looking to promote its public transport system to reduce the number of privately-owned vehicles. In accordance with the societal and political sentiment, the Indian government has been funding an aggressive incentive scheme called The Faster Adoption and Manufacturing of Hybrid and Electric Vehicles (FAME). Introduced in 2015, the first phase of the FAME incentive scheme provided demand-side subsidies for hybrid and electric vehicles. 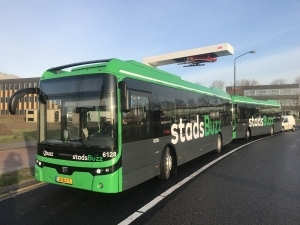 Although not initially included within the programme, subsidies for electric buses covering 60% of the up-front cost were introduced in 2017. 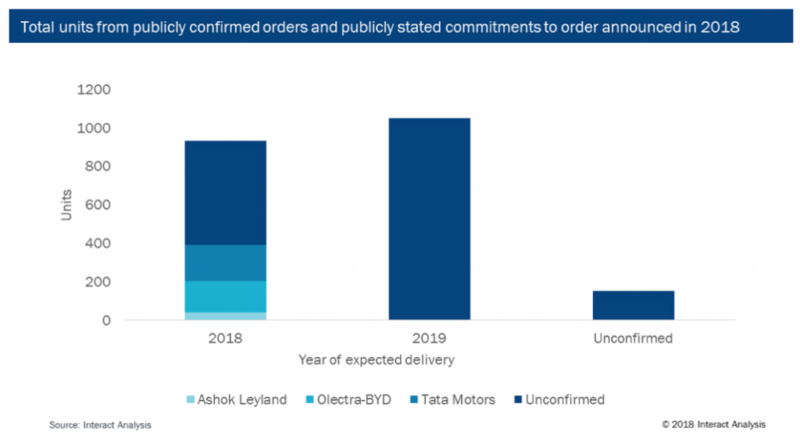 Sensing a turning tide in the city bus market, a number of foreign OEMs specialising in electric buses have made strategic partnerships with Indian manufacturers. 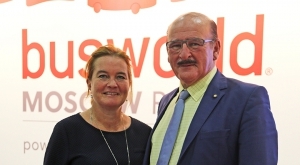 Solaris Bus and Coach has formed a joint venture with JBM Auto who together will develop the EcoLife electric bus using Solaris’ electric driveline technology. 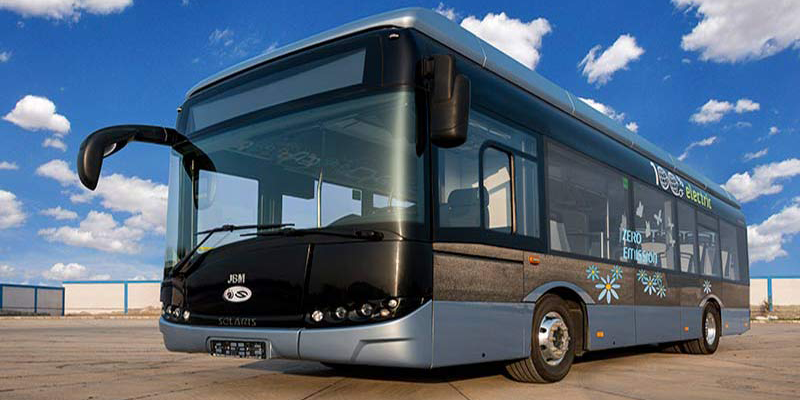 BYD, the largest manufacturer of electric buses globally, has formed a strategic partnership with Olectra Greentech (formerly Goldstone Infratech) which will produce electric buses using BYD’s K9 chassis. BYD is also investing $68.8 million in a manufacturing facility based in Karnataka to help bring down the cost and increase the localisation content of the buses. Despite the seemingly favourable conditions, the market is yet to realise its full potential. The main barrier is uncertainty. 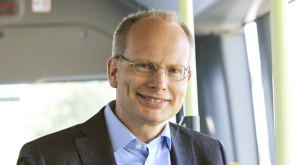 The Department of Heavy Industry (DHI) which provide the FAME subsidies have recently gone back and forth on whether it will subsidise electric buses on the OPEX model. The confusion stemming from the DHI is likely due to the introduction of the second phase of the FAME incentive scheme which was scheduled to take place on the 7th September, however, the implementation date has been extended by an additional 6 months for the fourth time since 31st March 2017. 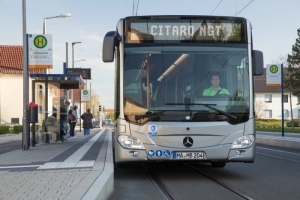 Without subsidies, the city electric bus market will likely experience poor growth and low penetration rates. Without confidence, domestic OEMs will be reluctant to invest heavily in e-mobility programmes. The same is true for the installation of infrastructure to support an e-mobility ecosystem.